Add functional and homey seating in your home bar or the gathering area in your home. 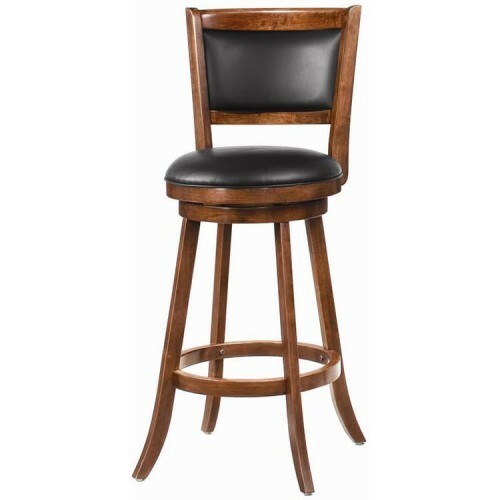 This smart looking bar stool features a swivel capability with a gorgeous dark espresso finish, a support and foot rest ring, and an upholstered plush seat and back. Create sophisticated and beautiful seating options for your home with this swivel bar stool. Assembly Required: Yes Condition: New Style: Contemporary Dimensions: Width: 22" x Depth: 22" x Height: 42".